Endurance eastbound on I-70 overlooking the mountains near Organ, New Mexico. 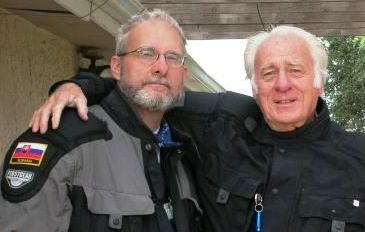 June 2002: I think my fascination with motorcycles truly began in February 1964 when Robert McDaniel, an adventurous uncle of mine, rode a black 305cc Honda Dream from San Diego to Cleveland, more than 2,000 miles. He intended to ride to Florida to see his parents (my grandparents) but learned enroute they were in Ohio. 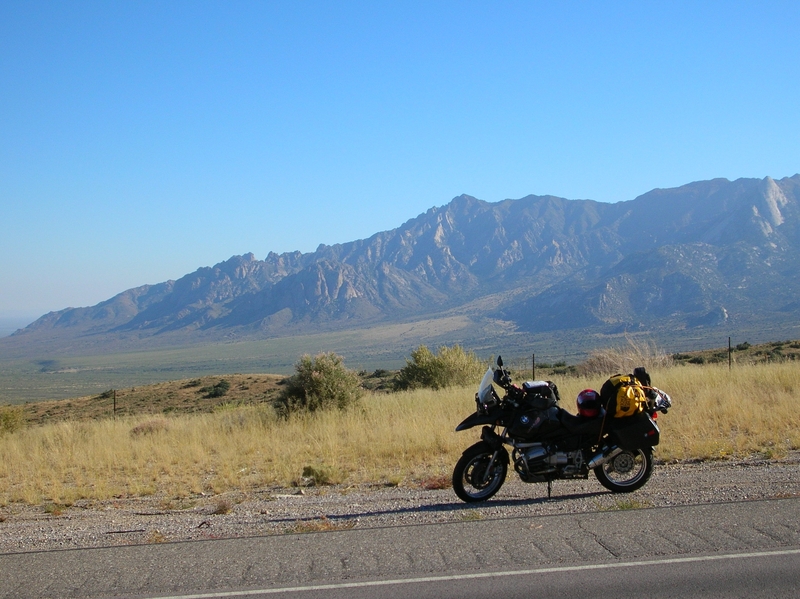 He turned north in New Mexico, riding U.S. 70 where he passed through starkly beautiful country. He paused on the roadside for a smoke near the craggy mountains of Organ, N.M., and dreamed of Indians crossing the valley floor. He had not anticipated riding north and was ill-prepared; his gear consisted of a leather jacket, Levis, light gloves, and three-quarter helmet with face shield. It was warm when he left California but he ran into a blizzard in central Ohio and skidded off an icy road and was nearly hit by a delivery truck. But he toughed it out, kept going and finally arrived; Instamatic photos show him exhausted and disheveled in a black motorcycle jacket, images of family legend. I tell you of his ride because it was the first pivotal moment in my personal history; I was six years old and it seized my imagination. We recreated his ride in June 2002 and stopped at the same place he did 38 years earlier; the mountains were still stark and serene.